Johns Hopkins faculty members have a rich history of life-changing discovery in global health, ranging from Lasker Award recipient Alfred Sommer (vitamin A), to Abel Wolman (water chlorination), the Sack brothers (oral rehydration for diarrhea), Nobelist Peter Agre (malaria), Robert Black (zinc for diarrhea), Robert Bollinger (medical education), and Sheila West (trachoma). Equally important is our core strength in large, population based programs in which innovations are tested in remote, resource-limited settings. For example, in collaboration with the Bangladesh Ministry of Health and Family Welfare and supported by a grant from the UBS Optimus Foundation, Alain Labrique, SPH ’99 (MHS), ’07 (PhD), director of the university-wide mobile health (mHealth) program, is using mobile phone and database technologies to improve monitoring of pregnancies and optimize neonatal and postpartum care. Labrique has also developed locally made technologies for measuring newborns and other essential tasks. Great ideas often start as small insights that must be cultivated, tested, refined, and scaled up. At Johns Hopkins, we have demonstrated a remarkable capacity to recognize worthy ideas, find start-up funding for them, and turn them into high-impact programs. For example, for every dollar our Center for Global Health has invested in early-stage projects, we have secured seven dollars in subsequent grants from funding sources such as the National Institutes of Health and U.S. Agency for International Development. This exceptional record attests to the quality of our ideas, our understanding of the grant process, and our leadership in the field of global health. 34 centers and institutes are involved in global health programs. 904 active global health projects are in progress in 101 countries, involving 405 faculty members. Travel is supported for an average of 95 students per year from across the university since 2011. Faculty pilot grants return high yields. Recently, 70 faculty members won $50,000 grants, and 116 of these were submitted to government funding sources. Of these applications 43 were funded, yielding $29.5 million in new support. Thousands of foreign trainees from our partner countries have returned home to build research capacity and partnerships with Hopkins that span decades. At every level, Johns Hopkins is inspiring, training, and placing young people in disciplines of value to global health. 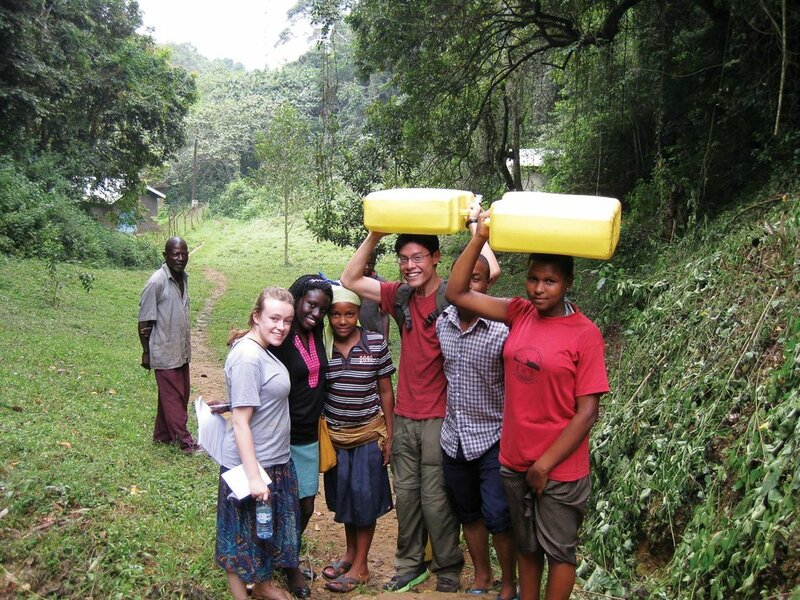 Graduate students in medicine, nursing, public health, engineering and social sciences, have numerous opportunities for global health research and innovation projects. Since 2007, a scholarship program has supported master’s degree studies for 57 people, 22 of whom are international students. In countries around the world, research labs, educational programs, and care centers are staffed by local people trained by Hopkins leaders. Undergraduate students from engineering, social sciences, medicine, nursing, public health and business excel within in-demand, innovative, cross discipline majors such as Public Health Studies and Biomedical Engineering that prepare them to attack global health issues from different perspectives. Public Health Studies requires students to have hands-on experiences with public health professionals across the country and around the world. For example, students in Biomedical Engineering’s Center for Bioengineering Innovation and Design, backed by real-world companies, have opportunities to design, build, and test medical devices for developing countries. For nearly 30 years, Robert Gilman, MD, Bloomberg School professor, has conducted research and training on site in Peru, in close partnership with Cayetano University. “Science…is about solving problems,” states Gilman. “To do that, you have to understand the problem. I’ve found the best way to understand the problem is to be surrounded by it.” He has helped lead Peru’s battles against tuberculosis, diarrhea, and other diseases and built a sustainable network of trainees to carry that work into the future. Such long and intensive involvement in a country’s health problems defines the Johns Hopkins approach to global health. In Peru, Uganda, Bangladesh, Nepal— in more than 100 countries around the world—the contributions of Johns Hopkins can be measured in decades of deep involvement and in close relationships with diverse individuals from all levels within institutions and communities. Below is a sample of Johns Hopkins’ global health contributions. By discovering that oral, high-dose vitamin A could reduce childhood deaths by 34% in developing countries, and do so effectively, quickly, and cheaply, Alfred Sommer, MD, SPH ’73 (MHS), dean emeritus of the Johns Hopkins Bloomberg School of Public Health, created what the World Bank describes as the most cost-effective of all health interventions. Sommer’s additional contributions, over decades of work in several countries, range from disaster relief to smallpox vaccination to blindness prevention to standardization of care. Recently the government of Bangladesh recognized Sommer as a “Foreign Friend” for supporting refugees during the Liberation War there and working to control the smallpox epidemic that followed. One of the first researchers to identify AIDS in Uganda was David Serwadda, SPH ’91, a Ugandan academic, scientist, and researcher. The Ugandan principal investigator for the NIH-funded “Trial of Male Circumcision for HIV Prevention,” Serwadda has demonstrated the efficacy of circumcision in lowering male HIV acquisition by 60 percent. He has also been instrumental in the project’s scientific design and management and provided critical liaison with the local community, the Ugandan Ministry of Health, and international agencies, including UNAIDS, the WHO, and the World Bank. Serwadda maintains close ties with Johns Hopkins, sharing grants and helping build a better future for Ugandans. Sheila West, PhD, SPH ’80, El-Maghraby Professor of Preventive Ophthalmology at the Wilmer Eye Institute, is running clinical trials in Tanzania, Ethiopia, and Niger to improve known effective trachoma treatments, focusing on surgery and antibiotics. Her goal, and the WHO’s, is to eliminate blinding trachoma by 2020.